On A Clear Day, Enjoy The View. When The Sands Start Shifting, There Are SpoGGles For You. 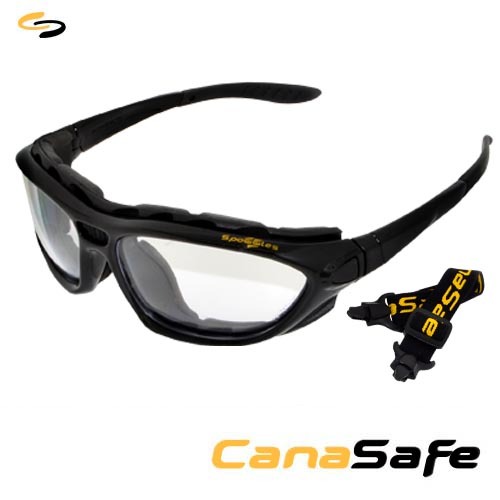 At CanaSafe, we believe in doing things right, first time. So, when selecting your next piece of eyewear, why not take a few moments to think about actual elements you will be exposed to. Let these factors influence your selection. Don't buy blind. Price is one issue but selecting the right tool for the job is another. Take the featured product for example. Hot, humid, dusty desert conditions require an excellent facial seal and a well ventilated anti-fog lens. Solution. SpoGGles. Two major causes of scratching are cleaning & storage. Most Scratching occurs during the cleaning process or when the eyewear is stored. Correct cleaning & storage procedures will increase the lifespan of the eyewear. Use the eyeglass cord. 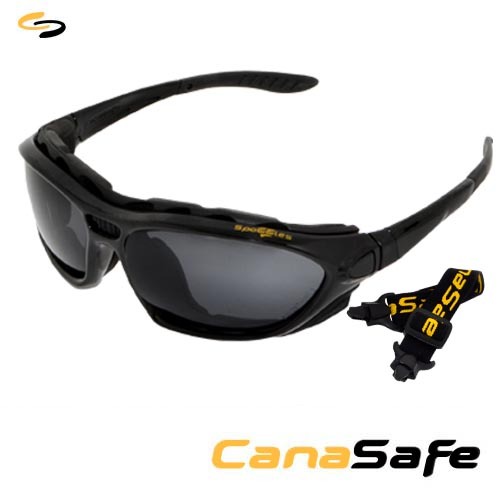 Not only will the eyewear always be ON HAND when you need it, the cord assists in keeping the eyewear away from areas where scratching normally occurs such as coverall pockets or rough work surfaces. Pantoscopic Movement Provides Options To Adjust The Lens Angle Providing The Right Fit. P.O. Box: 30595 , Dubai, U.A.E.